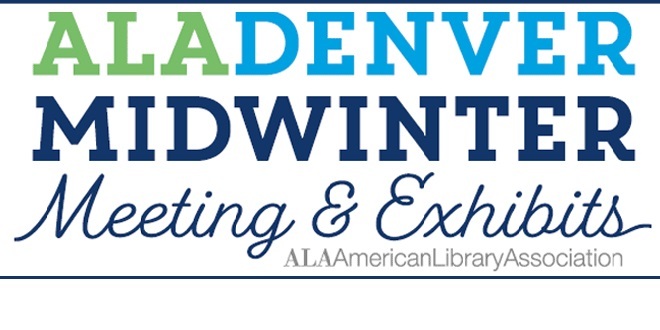 A number of CRL staff members will attend this year’s American Library Association Annual Midwinter Meeting in Denver, CO, February 9-13, to report on and gather input for CRL programs. Christine Stamison, Director of NERL; Marie Waltz, Special Projects Manager; and Kevin Wilks, Head of Access Services may be reached by email if you’d like to schedule a time to meet. Print Archive Network (PAN) Forum: The PAN meeting will be held Friday, February 9, 9:00 a.m. - 11:30 a.m. Mountain Time. Location: Hyatt, Capitol Ballroom 1 (Adjacent to the Colorado Convention Center), 650 15th Street, Denver, Colorado. TRAIL Information and Update Session: TRAIL (Technical Report Archive & Image Library) will hold an Information and Update session on Saturday, February 10, 10:30 a.m. - 12:00 p.m. Mountain Time in conjunction with the ALA Midwinter Meeting. The session will be held in the Tower Court A room of the Sheraton Denver Hotel. Frankfurt Symposium Debrief Session for CIFNAL and GNARP: Members of the German-North American Resources Partnership (GNARP) and the Collaborative Initiative for French Language Collections (CIFNAL) will meet on Sunday, February 11, 10:30 a.m. to 12:00 p.m. Mountain Time in the Tower Court A room of the Sheraton Denver hotel. Electronic Resources Management Interest Group (LITA ALCTS): Vendor Relationships: Build, Negotiate, Transform NERL Director Christine Stamison is one of the featured speakers for this panel discussion being held on Sunday, February 11, 1:00 p.m. - 2:30 p.m. Mountain Time in the Colorado Convention Center, room 303.